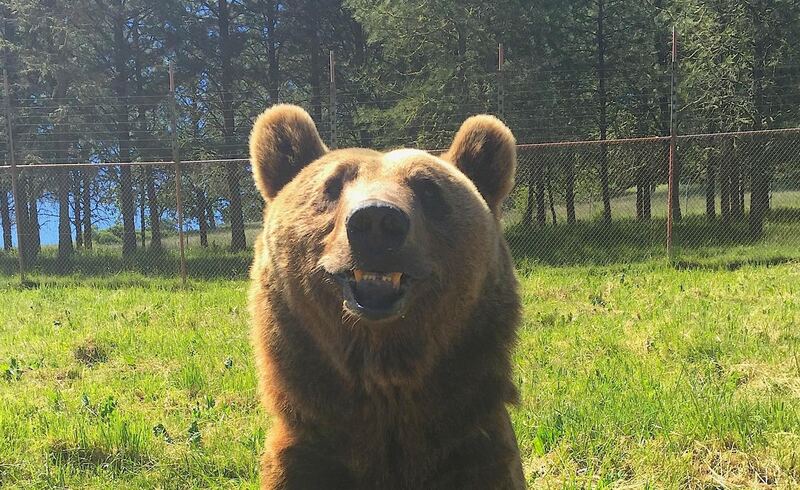 Oso, a 13 year old Grizzly bear residing at Wildlife Safari in Winston, Oregon, has had a rough go of it. According to Safari officials, he has been suffering from osteoarthritic-like issues for several months. “It was physically obvious that Oso was experiencing discomfort,” said Maddy Tweedt, a bear and cheetah keeper at the Safari. According to Tweedt, a bear’s closest relative is the domestic dog. The symptoms Oso was exhibiting were very similar to a dog with hip dysplasia or osteoarthritis. When Oso went into hibernation for the winter, Wildlife Safari staff had hopes he would emerge feeling better. Unfortunately, he did not. “His hips were sinking, he was having difficulty walking. We did what we could to manage his symptoms, but he was getting worse” shared Tweedt. That is when the Safari team started researching a more natural approach to help Oso and discovered Treatibles. Oso was started on a low dose of the Treatibles phytocannabinoid rich hemp oil so that the medical staff at the Safari could monitor his body’s reaction. Within days, he was showing signs of improvement. His dosage was increased from two 25 mg capsules (50 mg) per day to nine capsules (225 mg). 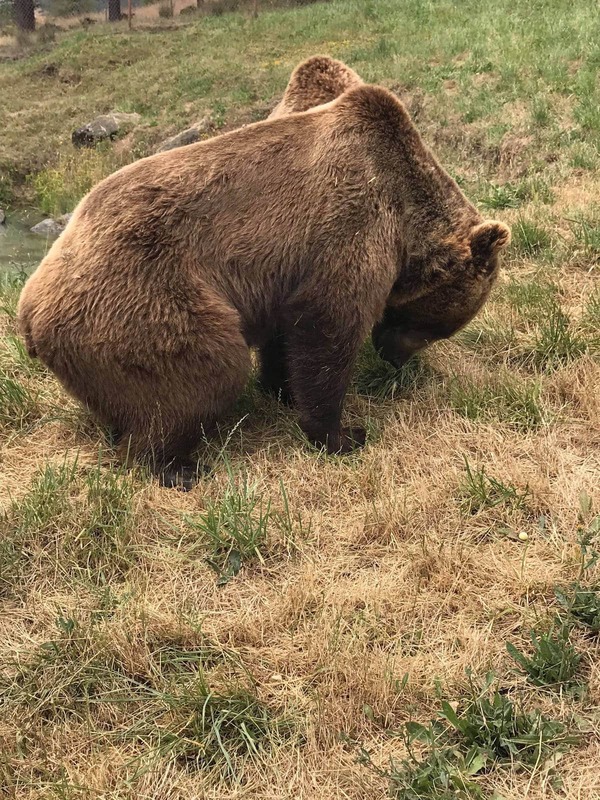 “We are thrilled to report that Oso is no longer dragging his hind legs; his overall mobility has increased dramatically, his appetite is back and he is beginning to thrive,” said Tweedt. Due to significant damage to his joints and muscles prior to beginning the hemp oil regimen, Wildlife Safari’s Executive Director Dan Van Slyke emphasizes that Oso’s quality of life matters most. “Of course we are rooting for Oso to continue to improve. However if weeks or months from now it is determined that he is suffering, we will need to approach a humane solution and examine end of life options,” said Van Slyke. Currently, Wildlife Safari visitors are enjoying seeing a happier Oso move around with greater ease. 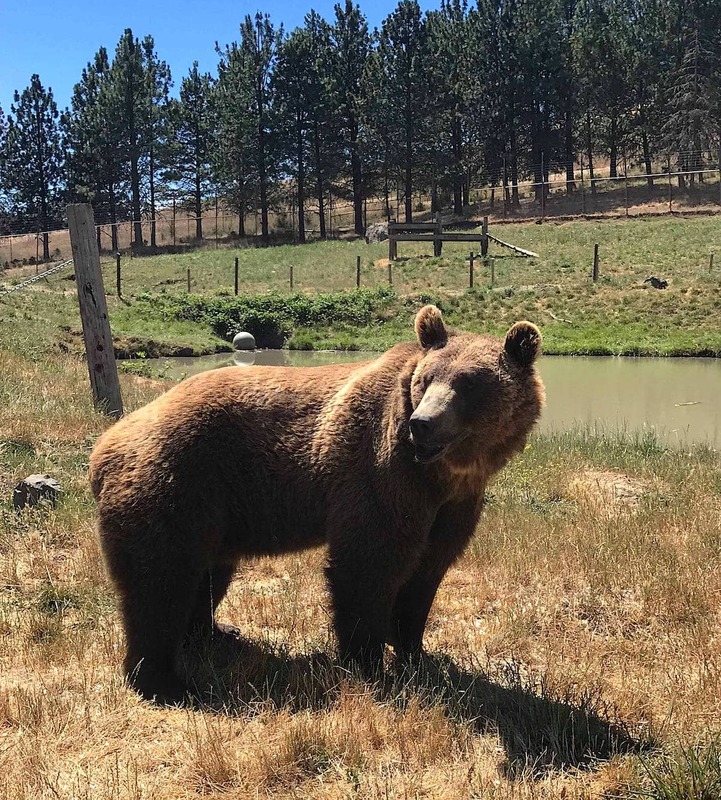 “When the Wildlife Safari team contacted us about Oso and how our hemp oil capsules have helped ease his discomfort, we were excited to learn more about this intriguing bear who was proving scientists right!,” said Julianna Carella, Founder and CEO of Treatibles. As with dogs, cats and humans, all animals have an endocannabinoid system (ECS) that works to regulate the neurological, physiological and immunological systems of the body. Incorporating phytocannabinoids (cannabinoids from a plant) helps to facilitate homeostasis throughout the various systems of the body that are managed by the ECS. Phytocannabinoids can be instrumental in easing anxiety, promoting healthy joints and digestion, maintaining the body’s natural inflammatory response, addressing discomfort, loss of appetite, nausea, seizures, and more.